We service the garage door needs of all neighborhood in Surprise, including the community of Sun City Grand, nearby places and cities bordering it. When you call us, expect our technicians to arrive promptly and efficiently attend to your garage door problems. Dean and Brandon did a great job at a fair price. So happy my garage door is functional again! Called up for a tune-up ended up replacing door spring and garage door opener within two hours. Knowledgeable, Fast and did an Excellent Job! Highly Recommend. Steve was very knowledgeable and prompt. 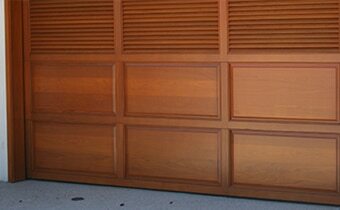 We feel confident that we received the best service in getting our garage door repaired. This is the second time that we have used A1 and have been impressed with their service each time. Great in all ways See below. I chose A-1 Garage Door Service, because, about two years ago I was visiting a friends house and they had a garage door break. They called A-1 right out of the book. A-1 sent this very likable, and professional young man out. I was quite impressed. I decided then if I ever needed a garage door repaired I would call A-1. Well today was the day. I called A-1 and they sent out technician, Steve Seeraj.. A very professional, knowledgeable , and thorough, young man with a great personality. He was very good about explaining the functions of each item he installed and how they operated. I would recommend Technician Steve Seeraj and A-1 without hesitation . It is rare to find excellent customer service and an employee who loves their job. This is what I found with Steve. He explained everything and made sure I was happy before he left. Thanks again. Our technician arrived and figured out the problem right away. He serviced the door within an hour and now it works perfectly!!! Thank you! Steve was very professional and friendly. The repair work was done quick and I really liked the communication that the whole company provided. Great Service , a very good job well done. Dispatch set me up with a job in the evening and did not find out until around 8pm. I called the customer to diagnose the issue at hand, but ended up making the trip. I offered to fix the issues at hand causing the opener to fail, but customer said it's too late after my arrival. Customer will reschedual appointment. Costumer was happy with completed work.